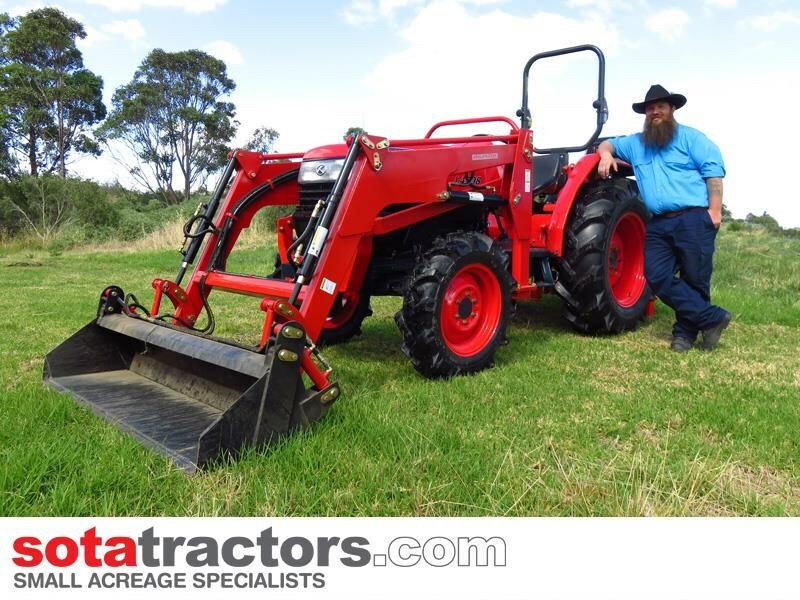 Remanufactured Kubota L4508 45hp 4WD with 4 in 1 FEL + ROPS $27,950 inc GST. 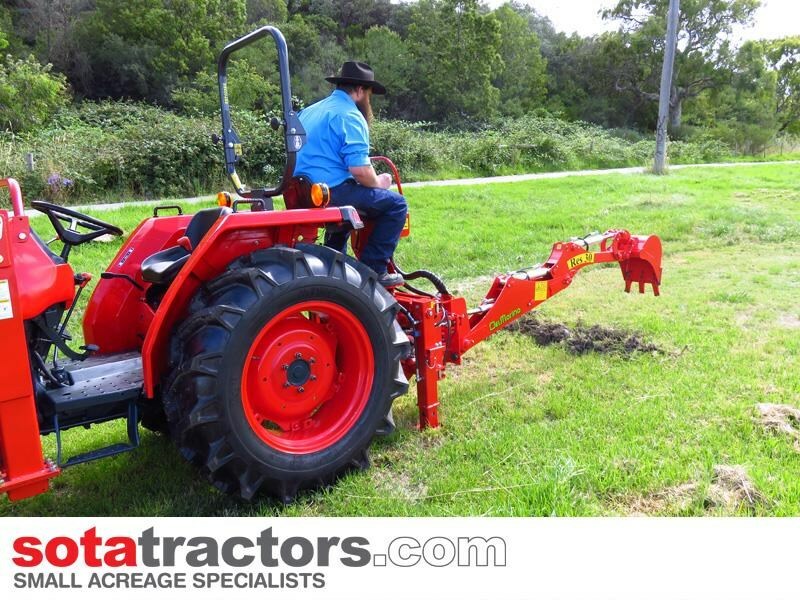 SOTAs Kubota 08 series are especially good value when matching horsepower for dollars. 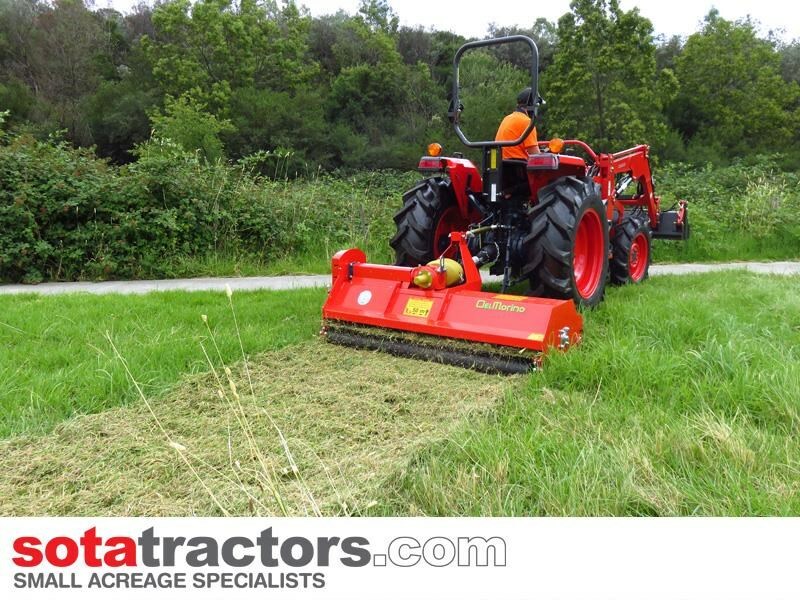 This powerful Kubota is one of the larger tractors in our range and is ideal for landscaping, small farming and other agricultural applications. 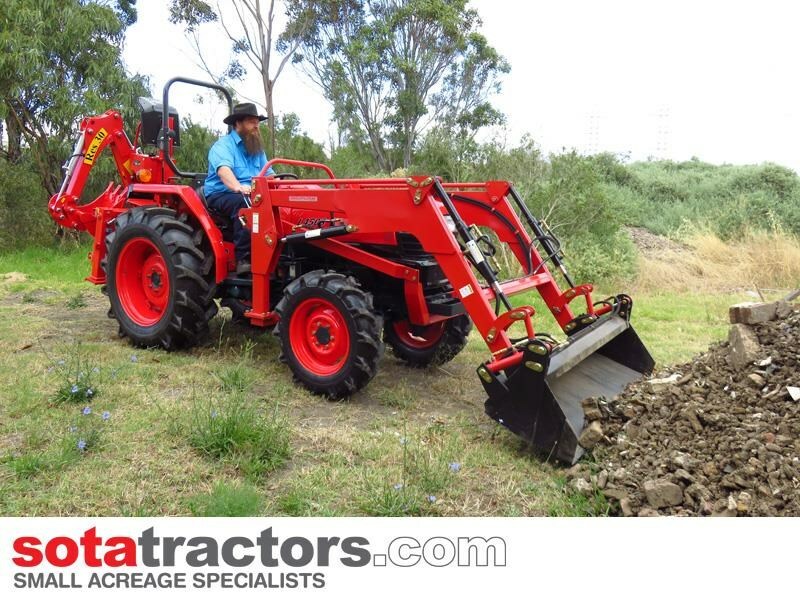 It is not a new tractor; it is a remanufactured tractor that has been rebuilt to a fixed specification. 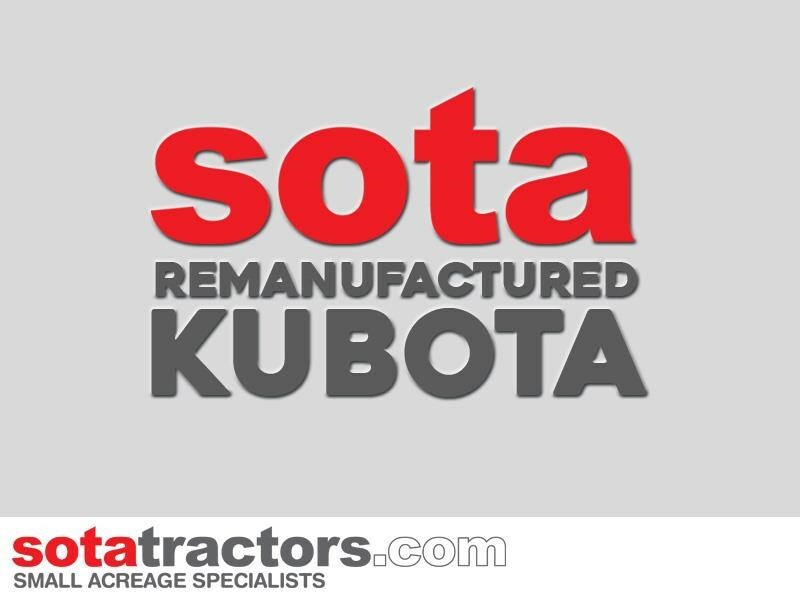 A SOTA remanufactured Kubota tractor has been dismantled down to the transmission and key components of the engine, clutch, brakes, hydraulics and starting system that is tested and replaced as required. The tractor is then rebuilt. 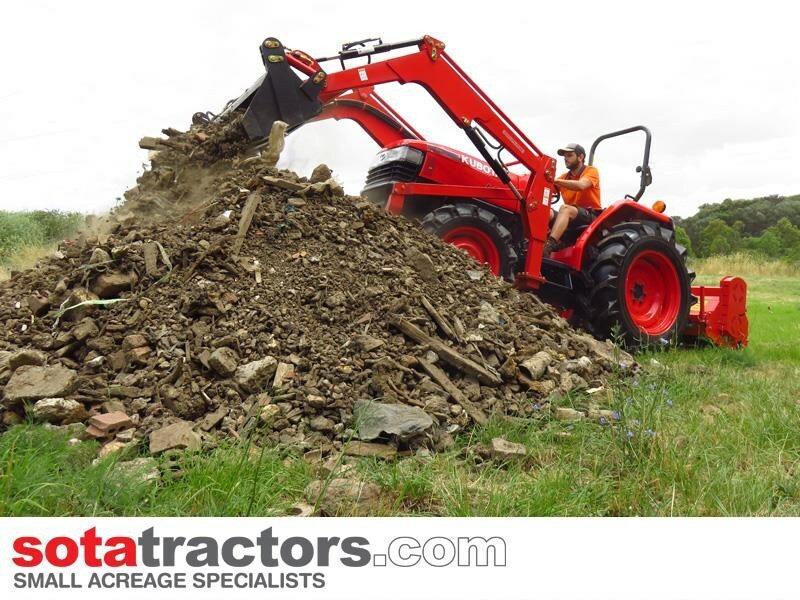 Buying a remanufactured Kubota is a cost effective way of purchasing a reliable, high quality tractor that is supported like a brand new tractor. 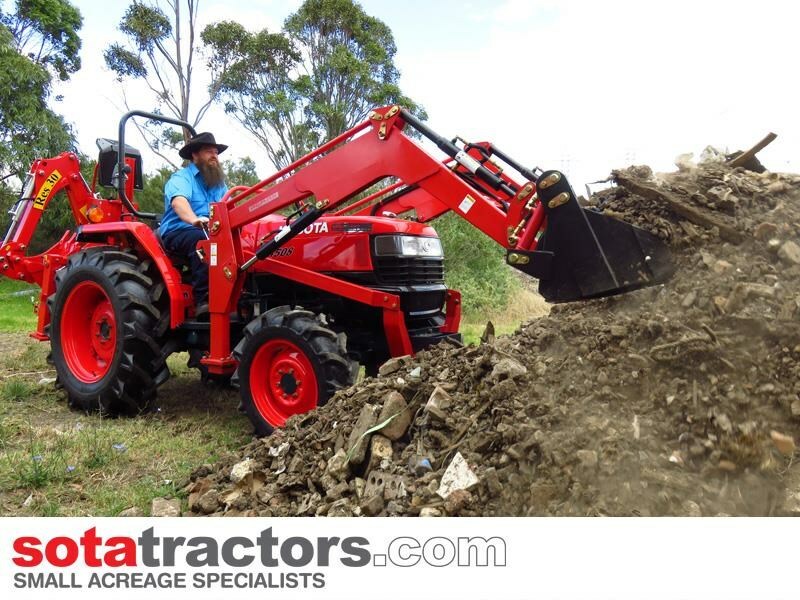 The Kubota L4508DT is a tough, quality Japanese tractor at a very affordable price. 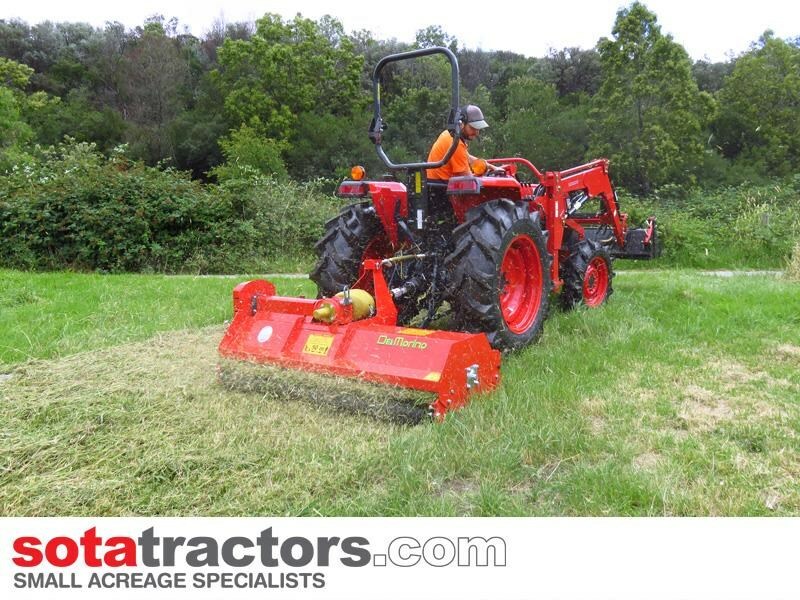 It is the largest and latest Kubota in SOTAs range and suited to mid-sized small farms, from 20-60 acres, depending on your intended applications. 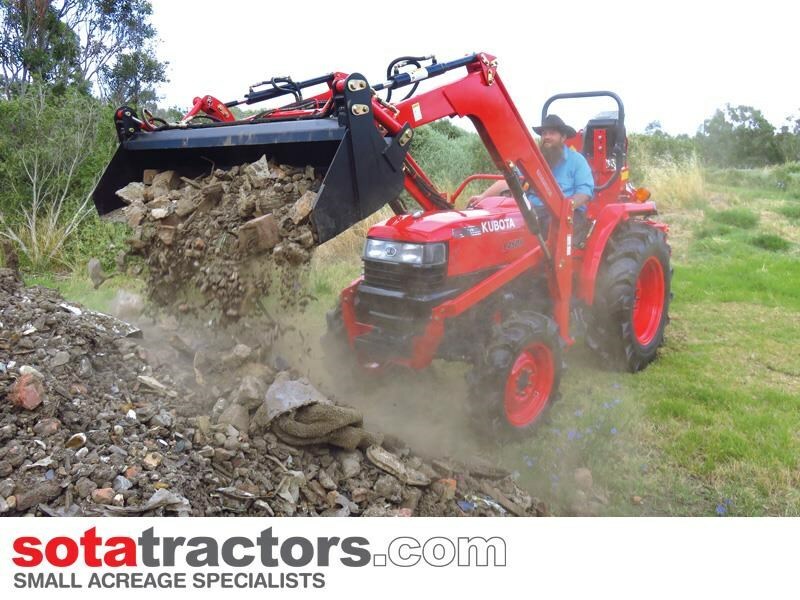 The Kubota L4508DT will accept a full range of implements including slashers, box scrapers, backhoes, flail mowers, rotary hoes, pasture harrows and many more. 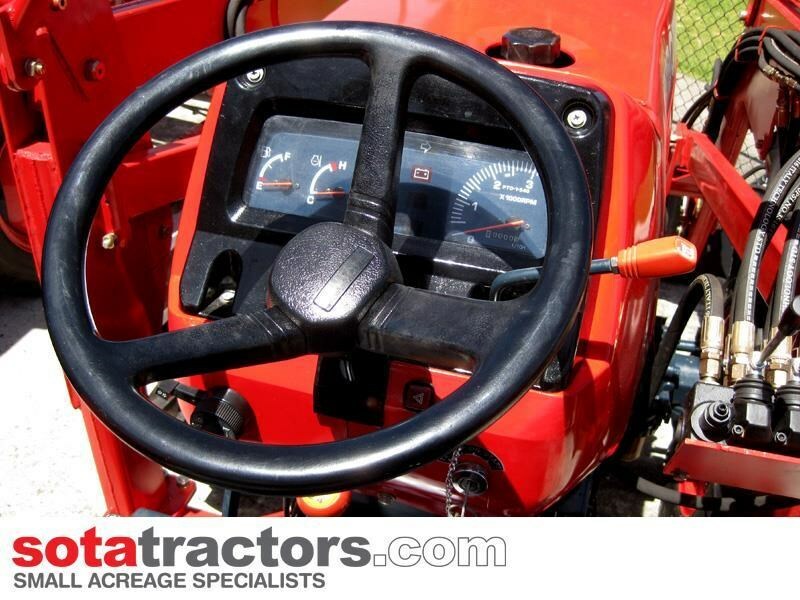 SOTA remanufactured tractors come with a certified Hercules ROPS, operators manual, comprehensive safety manual, spare parts back up and a 3 month written warranty. An extended warranty is available for $550. This covers engine and transmission for a further 15 months. 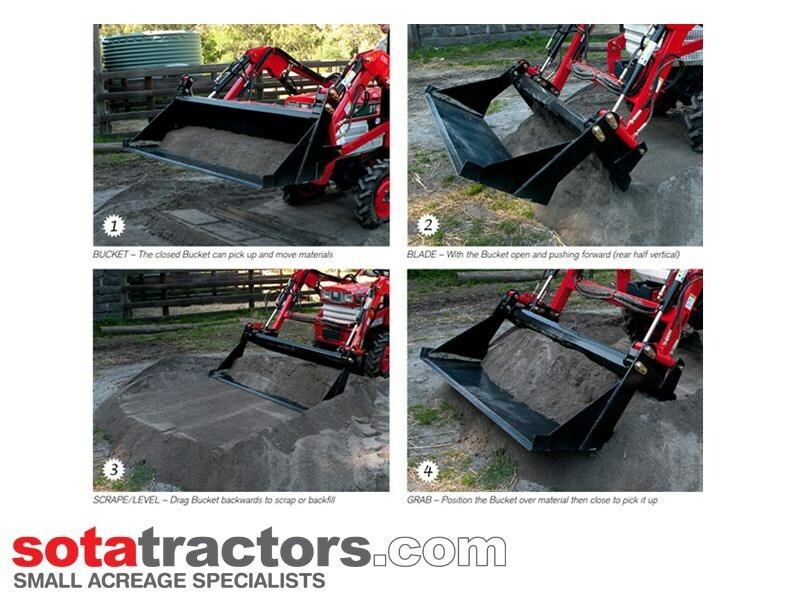 There is a 2 year warranty on the AGMAX front end loader. > Standard 3 month warranty: comprehensive warranty, including parts, labour and all travel expenses. > Optional 15 month warranty extension: effective on expiry of standard 3 month warranty. Additional coverage of powertrain for 15 months. 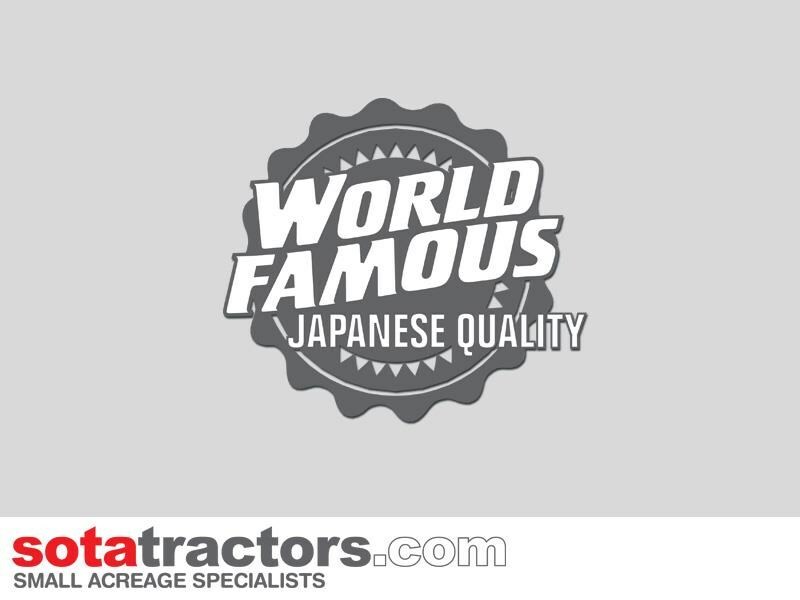 Your tractor package is backed by SOTAs high standard of customer service we dont forget you once youve made your purchase. We carry a huge range of spare parts in stock and supply directly to our customers. 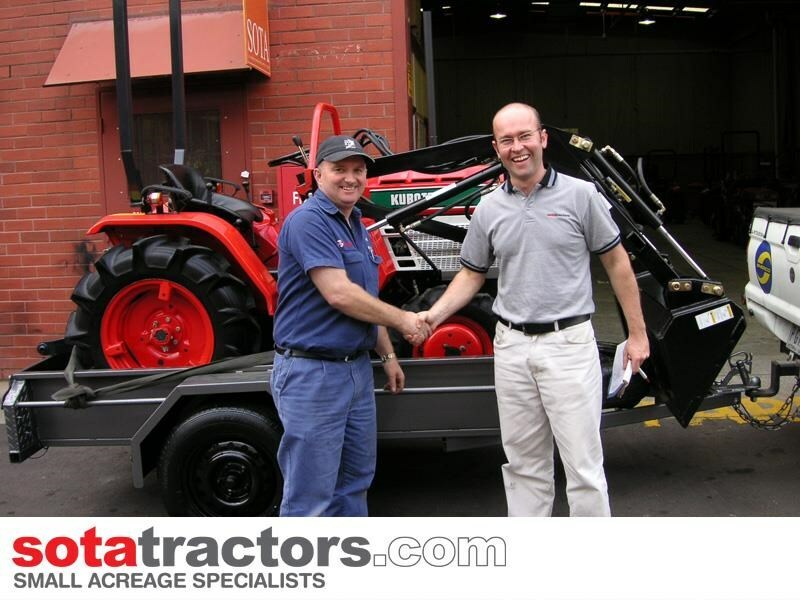 We offer full tractor servicing at each of our branches in VIC, NSW and QLD and we also offer onsite tractor servicing. 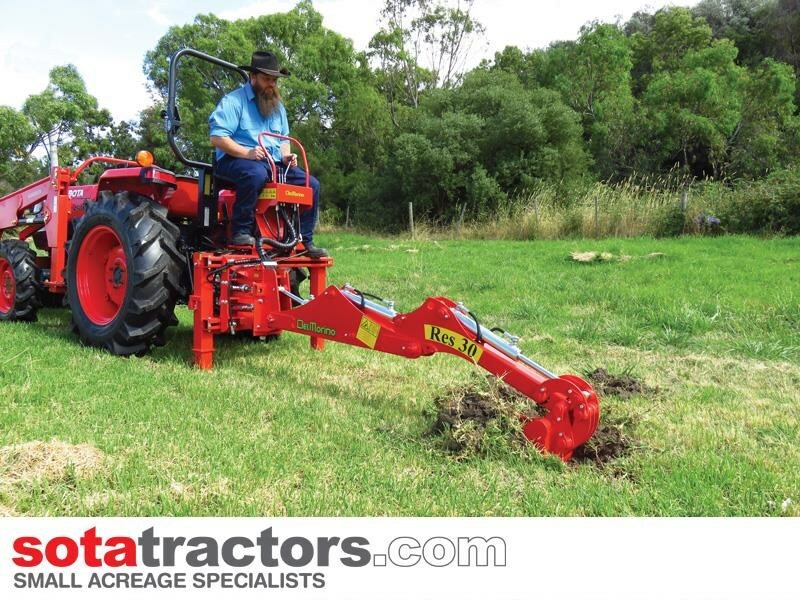 ALL AGMAX IMPLEMENTS CARRY A 24 MONTH WARRANTY BACKED BY SOTA TRACTORS. KUBOTA 3408DT - 45hp 4WD DIESEL. 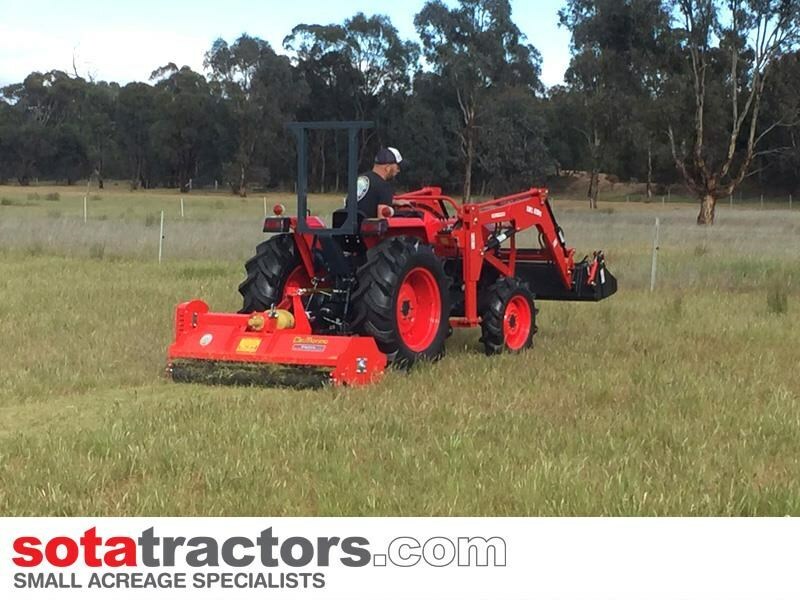 The largest and latest Kubota in SOTAs range and suited to mid-sized small farms, from 20-60 acres, depending on your intended applications. 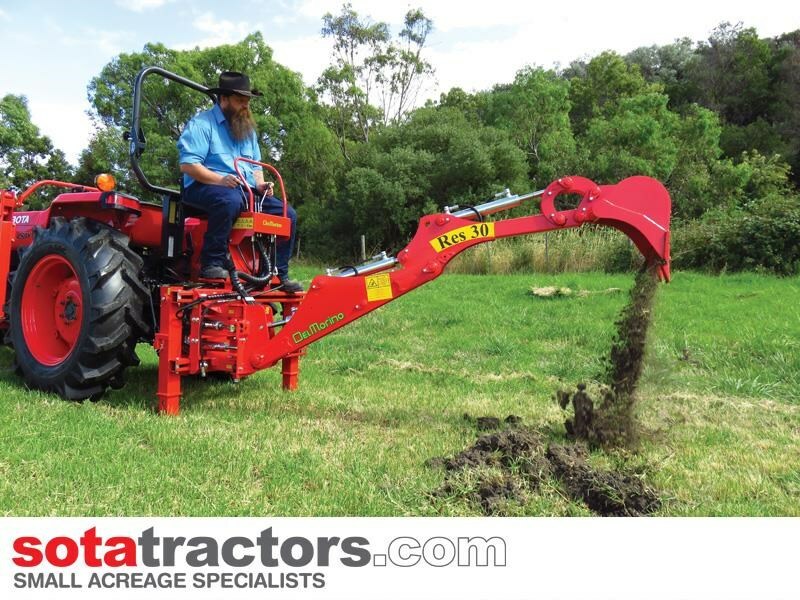 Accepts a full range of implements including slashers, box scrapers, backhoes, flail mowers, rotary hoes, pasture harrows and many more.